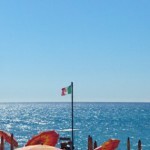 The beach in Pietra Ligure overlooks one of the most beautiful and cleanest stretches of sea along the entire western Ligurian Riviera (rated 1 sail in Legambiente’s Blue Guide 2010). 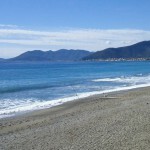 The beach is wide and sandy, mixed with the typical gravel from the Ligurian Riviera; the sea slopes very gently from the water’s edge, allowing peaceful bathing even for more nervous bathers or for small children familiarizing themselves with the water. 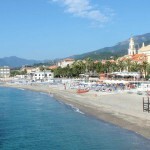 Pietra Ligure stands out for the quality of its crystal-clear blue water, which is even perfect for less experienced snorkelers who are out to discover fish ad admire the fascinating underwater flora. 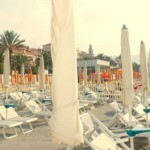 Several free and private beaches with facilities and amenities meeting all needs are located at the beginning of the promenade, which runs alongside the beach through the old town. 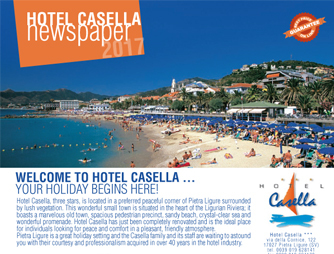 Hotel Casella has been affiliated with “Bagni Carla” private beach for several years now. 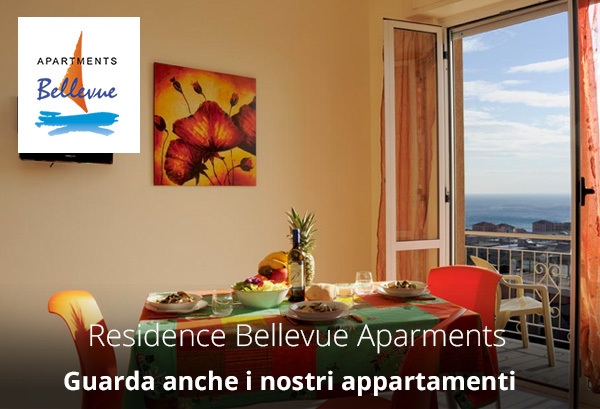 Our guests can take advantage of a common changing room, pedalo, canoe and numerous toys for children – all free of charge. Those looking for charming beaches should take a trip (10 km by car or public bus transportation) to the very well-known “Baia dei Saraceni” bay and its sheer cliffs.